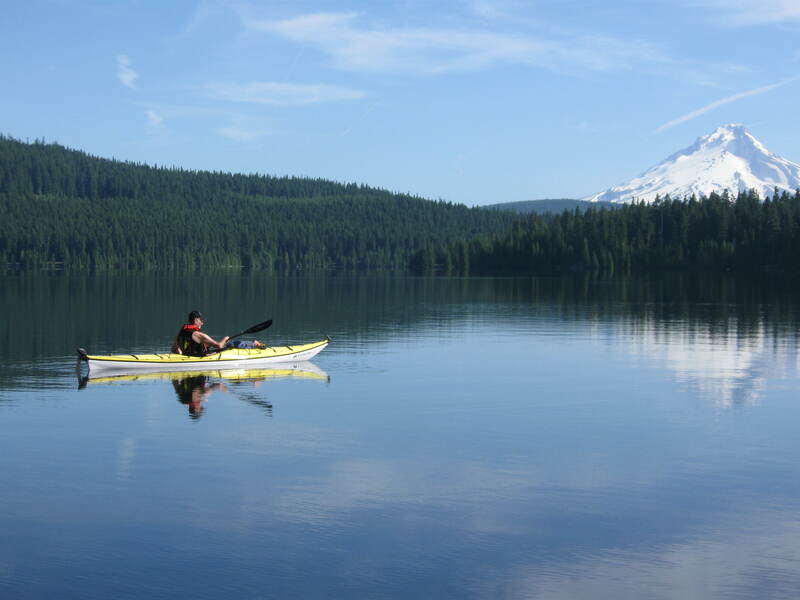 I work at Alder Creek Kayak and Canoe, so summer is the make-or-break busy season. Employees don’t know their schedules week to week, and when we do get some free time, we have to do what we can to take advantage of it. Summer in Oregon is probably the best in the United States. Low humidity and dry. What more can you ask – temperatures in the low 80’s. So when you get time you must make the most of it! This week, I had Wednesday off, but I had to work Tuesday until 6:00. Since it’s light until 10:00 I figured, hell, get up to the Cascades and get a spot before sunset! So I threw my gear into my car and headed to Gone Creek Campground at Timothy Lake, which is under two hours from my house. It has a pretty view of Mount Hood. Sure enough I found a lakeside spot. 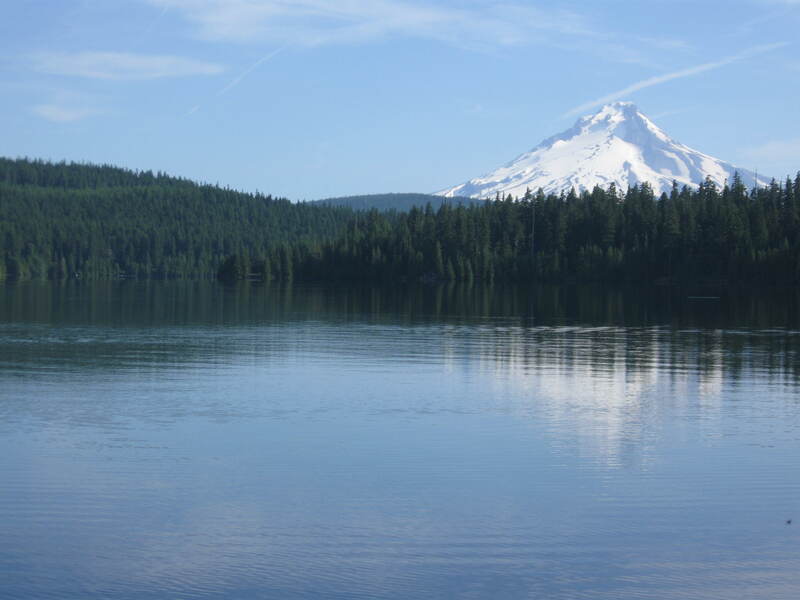 I could erect my tent quickly, set up in less than 30 minutes, and put my chair by the lake and watch the sky show unfold – sunset, Mt Hood alpenglow, and stars coming out. It was absolutely gorgeous! Well worth it. Next day I took my kayak on a relaxed circumnavigation of the lake. Beautiful! Afterward, as I relaxed having lunch, this kayaker passed by my lunch spot. Not a bad view!